My worktable gets messy very quickly, so today, another clean-off-the-mess collage card. 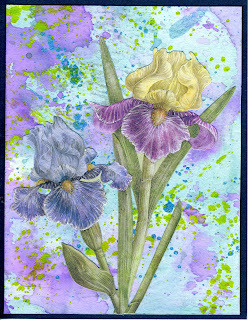 The background was done when I was playing with Tim Holtz Distress Oxides, which I then splattered with Daler Rowney FW Pearlescent inks. 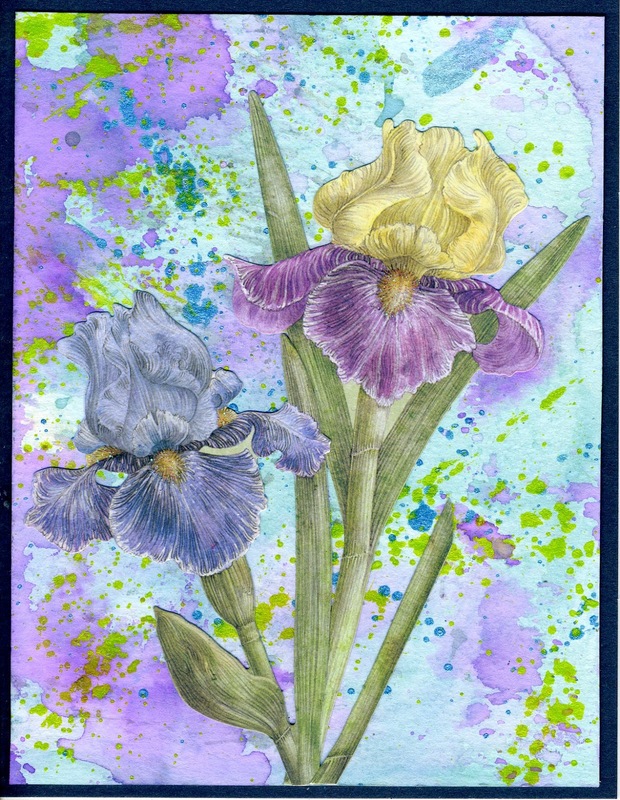 The two irises were a lucky find in my scrap die-cuts box.